Categories: Fireplace Mantels, Fireplace Accessories, Andirons, Tools & Screens. 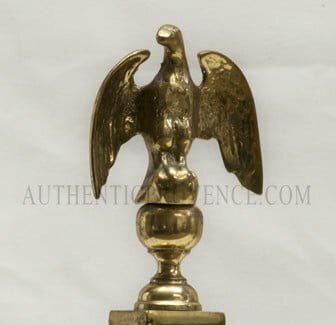 Tags: 19TH CENTURY, AMERICA, ANDIRONS, BIRD, EAGLE, FIREDOGS, METAL. 22 H in. x 9.75 W in. x 17.25 D in.